The two-day course on the treatment and rehabilitation of the knee joint, organized by the Clinic for Physical Medicine and Rehabilitation was held on 2 and 3 December 2016 at the Military Medical Academy. The introductory lecture was given by head of the Clinic for Physical Medicine and Rehabilitation Col. Prof. Dr. Aleksandar Djurovic. He spoke about the most common conditions and diseases of this complex joint, as well as about the clinical picture, diagnosis and treatment regarding the global knee pain. During the first day of the event lectures were devoted to the anatomy of the knee, diseases and injuries of the knee joint. Participants had the opportunity to hear through 14 lectures what might be the cause of pain in the knee joint and as mentioned, the correct perception of pain is a necessary part of diagnostics followed by the adequate therapy. In addition to MMA physiatrists, Dr. Jasenka Vasic Vilic from the MMA Institute of Radiology and Head of the MMA Clinic for Orthopedic Surgery and Traumatology Col. Doc. 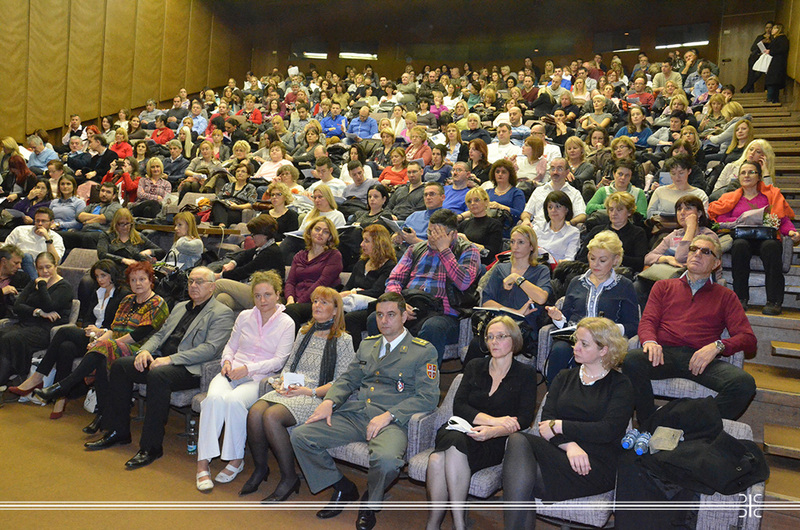 Dr. Srdjan Starcevic were the speakers. On the second day of the traditional course, which also attracted a large number of participants, lectures and workshops on different approaches to physiotherapy of the knee joint were held. In addition to practical training, course participants had the opportunity to see many examples and therapeutic techniques in MMA’s clinical practice.